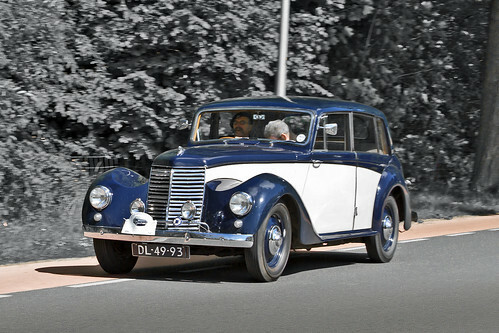 – The complex history of Armstrong Siddeley dates back to the formation of Siddeley Autocars by John Davenport Siddeley in 1902, whose Coventry works turned out cars closely modelled on contemporary Peugeots. – After merging with Wolseley in 1905, Siddeley resigned in 1909 and formed a new concern, Siddeley-Deasy, which then went on to produce cars, trucks, ambulances and even aero-engines during the Great War. – When hostilities ceased in 1919, the Armstrong Whitworth Development Company took over and began marketing a new range of Armstrong-Siddeley motor cars, establishing a reputation for building high quality automobiles in the years leading up to the Second World War. – Production of aero engines kept Armstrong Siddeley Motors busy during the Second World War and in 1945 the factory was keen to put into production a postwar range of their “cars of aircraft quality”. – The 18 Whitley Series, named after the Whitley Heavy Bomber (1937-1942), was available as this 4-door Saloon, as rare 4-door Limousine (122 inch wheelbase), as rare 2-door Station Coupé (extended cabin with a small additional seat at the rear) and as rare 2-door Utility Coupé (conventional front seat only). – These last 2 commercial variants were produced, primarily for export to Australia and New Zealand. – Coachwork of all the standard designs was produced in-house by Herbert Victor Burlingham, Blackpool, but several outside coachbuilders produced their own versions.